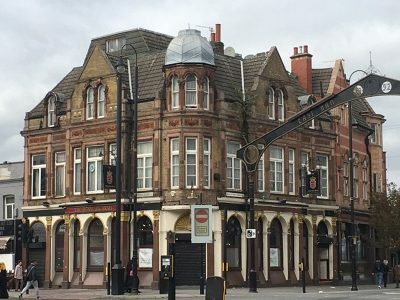 “We are very proud to have been given the chance to re-imagine the glorious Grade II listed Denmark Arms public house in the heart of East Ham. 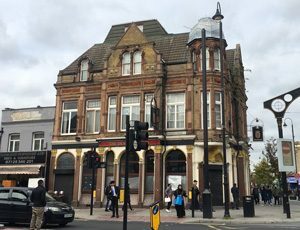 We at Antic believe that pub buildings are British icons that must be handled with care, therefore it is of utmost importance for us to retain the magnificence of Victorian craftsmanship whilst re-imagining this building for 2018. From original parquet flooring, to fireplaces, glass tiles and wrought ironwork, as the building gives up its treasures these will be documented on our social media channels. We’ll be open for lunch and dinner and of course, proper roasts on a Sunday with our signature vegan and veggie roasts, too. There will be the opportunity to book your Christmas parties and dinners at ours so stay tuned. Bookings will be able to be made via our website through Design My Night or in person. The final goal is to create the welcoming and friendly atmosphere that fans of our pubs hold dear, alongside a fond familiarity for returning locals, striking a balance between old and new whilst staying sympathetic to the framework of this thriving and historic London area. Our opening night will be open to the community and will feature an appearance from the Antic Town Crier, a Vinyl DJ and a memorable time for all. Sign up to stay updated with news and seasonal stuff, plus you will receive our weekly Things To Do In Our Pubs email.